A film experience is running now (July 25th) through the next few days. Its premise is that there is a woman trapped in a room, with only a laptop and an internet connection. We must somehow help to free her. 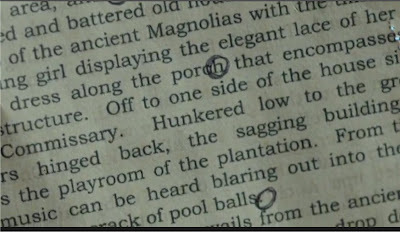 There are three clues in the first film, currently posted on youTube and running six minutes. The walls (illuminated by the screen from her laptop) have , on at least one side - a strange pattern. 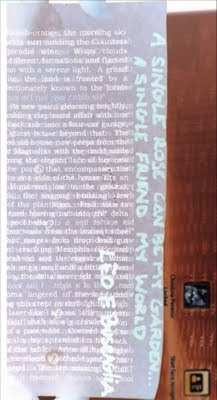 There is a handwritten quote by Leo Buscaglia , on the same page - that says "A rose can be a garden, a friend can be a world"
The images of the page are below. 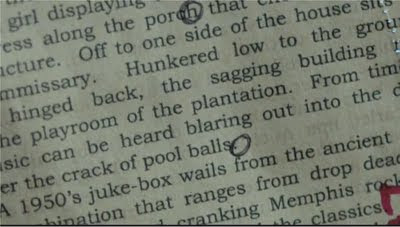 Note the circled letters H , a Period. 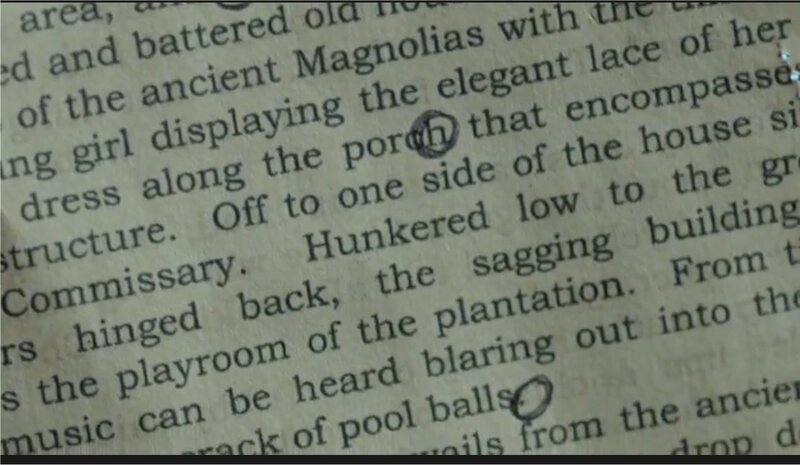 and C.
The page is taken from a text, apparently about a southern plantation - perhaps owned by a Countess. 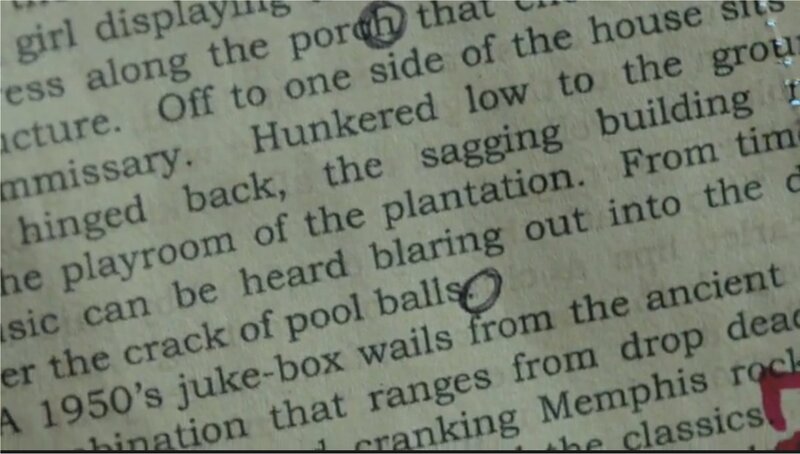 There are lines in the passage that refer to "the clacking of pool balls" .. and other imagery associated with what would seem to be a southern style plantation with many rooms. 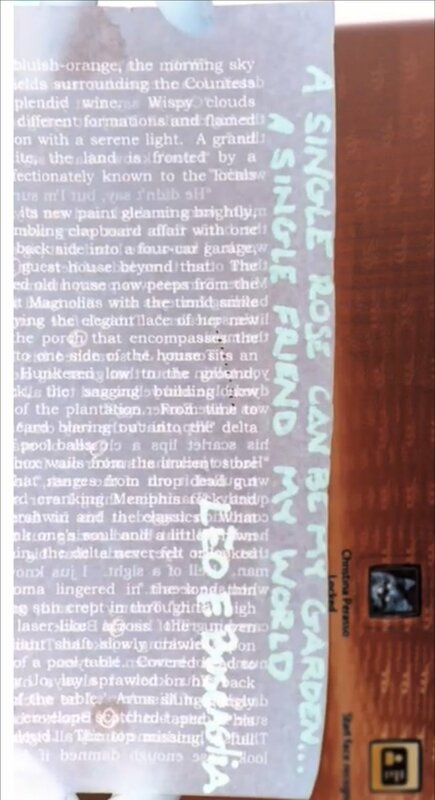 The solution to the first puzzle is that the main character must 'friend' on facebook, the person named by the above clues / assembled by the letters circled.